Now these are shoe accessories we can get behind. 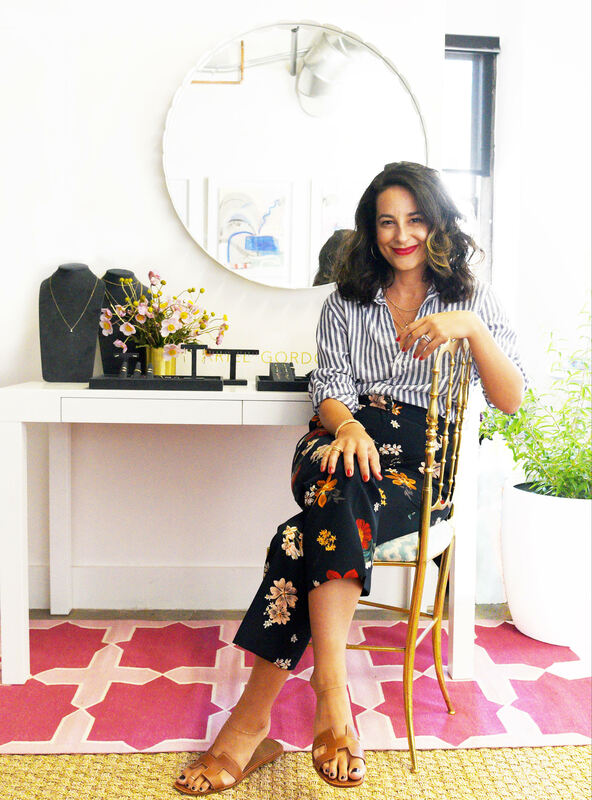 Ariel Gordon designs highly personal jewelry that is loved and collected by many including a vast amount of familiar faces (Gigi Hadid, Charlize Theron, Ashley Graham rock her pieces, to name a few). Signets are key component of the many collections she designs, a style that is a favorite among devoted fans of jewelry, especially those that like to wear signature pieces day to day. “Hardware is such an important part of our line”, explains Megan Papay of Freda Salvador. 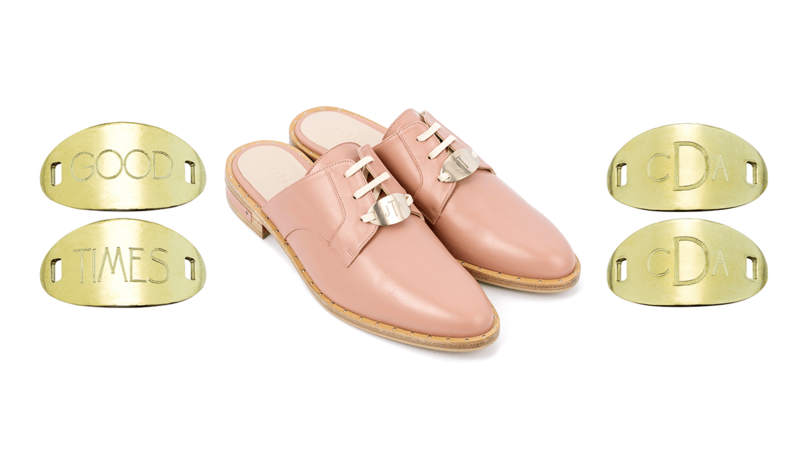 Partner Cristina Palomo Nelson adds “We have been brainstorming ways to add removable hardware to our oxford laces for a while now and when we were introduced to Ariel by a mutual friend, it all came together." Gordon is excited to collaborate with likeminded creatives saying “we are both female owned and operated and we both believe in the value of craftsmanship and quality materials." Ariel Gordon X Freda Salvador launched this week, on April 25th. Signet Nameplates are sold as a pair and available in brass or white bronze for $65 with the option to engrave up to four characters per plate for $95. Sold exclusively on arielgordonjewelry.com and fredasalvador.com. We call this a fashion match made in heaven. The Ariel Gordon X Freda Salvador collection. Cristina Paloma Nelson and Megan Papay of Freda Salvador. Photo courtesy of Emily Scott. Hailey Baldwin wearing an Ariel Gordon diamond and rose gold choker in the launch cover story of Story + Rain.